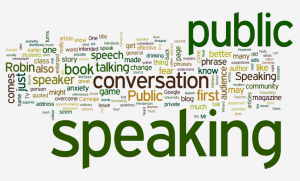 FACT – Public Speaking is one of the scariest things a human being can do. It is not surprising that with that much negativity going on, most people will avoid it if they can. Sometimes a business role requires this skill and those who have it can persuade, inform and motivate more effectively than those who don’t. So how should you go about starting? You will find lots of articles on social media to do with reducing your fear. Most will talk about using a positive mindset, practising and concentrating on what your audience wants, but this doesn’t reduce the subconscious nature of the FEAR which this situation generates. Obviously, personality plays a part. If you are an extrovert, the opportunity to ‘perform’ in front of an audience will be jumped at but if you are an introvert, the opposite reaction will be more likely. I believe that, as with other problems in life, if you have enough understanding of what works and what doesn’t, you can reduce the fear. You can’t do Public Speaking at the drop of a hat! Even when people say they can, they are never as effective as someone who prepares. A conclusion which requires action on the part of the audience and leaves them with something memorable. Now practice your delivery as many times as you can. A relaxed body without distracting movement or gesture (ask someone else if you’re not sure). Good clarity – this is mainly about controlling the pace so that you have time to think and speak precisely. Use note cards if it helps you to remember details. 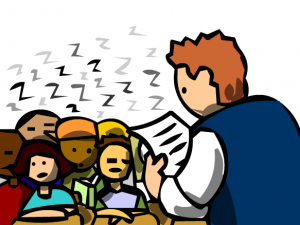 You are NOT a poor speaker if you use notes – they show your professionalism. Spend a little time getting this right. It should not be a last minute rush. So now we come to the mindset. Let me ask you a question . 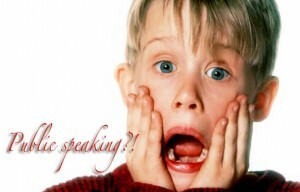 . . . . . .
Have you ever sat in an audience and hoped that the speaker would be rubbish? No, of course you haven’t! Your audience is WILLING you to be good. They want to hear what you have to say. Try to carry this thought as you step onto the platform or stand up from your chair. THE AUDIENCE IS NOT YOUR ENEMY. They are a POSITIVE in the communication equation. Take a few deep breaths. This really works – it steadies your body and powers your voice safely. So now it’s over to you. Give it a go and I think you’ll be surprised at how good you feel when you’ve done your first presentation. If you still need help, come and join me on 17 April at Leicester for a short day course for beginners. 10:00am to 3:30pm for £60 including a light lunch.